Search engine optimisation is not just a one-off task, it’s a continuous battle between you, your competitors and search engines. If you win, then you can be the top of search results, attract substantial traffic and sell your business – fail and you can be left in internet obscurity. One reason you might fail is that you've forgotten some of the best SEO tricks. There are many factors to consider when it comes to your page rank on Google or Bing. However, some people do the basics (meta tags, descriptions, image optimisation, etc.) but don’t use some of the more advanced SEO tricks that can make the difference. So, what SEO tricks could you use to improve your website’s search ranking? Here are some of the top ones we can recommend. This is probably one of the most forgotten SEO tricks. A site crawl error is when a search engine bot is on your website and indexing it, and it comes across a page that has a link that does not exist. This might be because you’ve entered the linking URL incorrectly (or it has been entered incorrectly on a third-party website). Google takes these as a sign of a poorly maintained website. Therefore, they will negatively affect your website’s page score. To the user, they can also be annoying. To find your sites crawl errors you can log into your Google Webmaster dashboard and look under the Crawl -> Crawl-Errors tab. Then on your website, setup redirects for those pages that have errors to the correct webpages. Alternatively, if you have a WordPress website, you can use a combination of Yoast SEO and EPS Redirect to identify crawl errors and redirect. If you have Yoast SEO Premium, you can do this without EPS Redirect. While they don’t have a major impact for your website; the internal and external linking of your website content can make a small difference. People expect that if they link to a third party from a blog it is diminishing the chances that they will gain the attention of the reader as the visitor will be directed away from the website. Firstly, you can easily reduce the risk by having a link open in a new window or tab. Secondly, it might remove some readers – but the gain in traffic can be a just reward. Google rewards websites because it wants authors of authority to rank highly. Authority authors tend to be more interested in sharing knowledge than selling services and therefore will link to other sites. Therefore, you need to consider your linking strategy. A good way to avoid linking to competitors is to link to publications like Forbes, New York Times, or articles on Tweak Your Biz. Internal linking is also important as it shows you have a depth of knowledge on a subject. Therefore, we recommend trying to link to at least three external and three internal pages on any given page. This is a major concern for small businesses. While it is large multinational companies that get all the headlines, it is the small businesses that are on the front-line of the digital cybercrime war. Security is something Google and other search engines take seriously. Therefore, you need to start thinking about how you can start to protect your website. Just having a backup is not a security measure – it’s a reaction policy. You need to be active in your security measures. The first thing you should do is to ensure all passwords to your site are secure and unique. Don’t use words and numbers – create a complex alphanumeric code with special symbols. Never store this electronically. This password should be changed every three months. Secondly, ensure your website is running the latest code and, if WordPress, has the latest software updates for the platform and plugins. These are often updated to fix security flaws and those that aren’t updated regularly are at risk of being compromised. Finally, don’t open suspicious emails or open random links on the internet. These are the most common entry points for hackers. This aptly named concept for your website is not new and you’ve probably come across it tonnes of times. Breadcrumbs are a second navigational tool that informs the reader of their location on your website. It comes in a long list of pages of how the reader might have got to the location. For example, someone reading about a specific service might see the breadcrumb Home > Services > Specific Service. 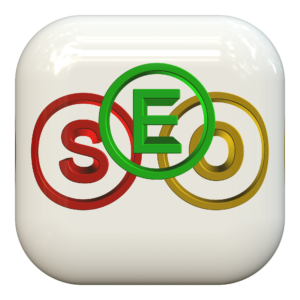 This navigational tool is also useful to Google and other search engines with their indexing of your website. Breadcrumbs put context to the page in its website structure and indicates that the website has been well built. It is important to have a deep structure, so all pages are categorised for this tactic to work. Breadcrumbs are easy to install on a WordPress website and there are numerous free plugins for the purpose that take seconds to install and set up. You might struggle on other website platforms, but this can be overcome with the use of proper HTML coding. If in doubt, speak to a web designer or check out this page about the specific coding for the system. SEO tricks might sound like they aren’t legitimate, but in the end, search engine optimisation is often a guessing game. Google doesn’t tell anyone exactly how it ranks pages because otherwise, it would be easy to set up web pages and people could abuse the system. Also, Google makes several changes every day to their algorithms. We can understand certain aspects of an optimised web page and based on that information, make differences to our pages to rank higher on search engines. Really successful people experiment; they change pages and strategies all the time to see what ranks well and what doesn’t. So, make sure you are implementing some of the SEO tricks we’ve mentioned above to get your site ranking better. If you do, you could see an improvement in the number of people who are attracted to your site and buy a product/service. What are your SEO tricks? What is your SEO advice for the next year?